For 14 years straight, SiteGround is providing web hosting solutions to thousands of website owners around the world. They now have about 800,000+ customers and the number is rising. They are offering a number of different web hosting packages which include normal shared hosting as well as some advanced hosting services. From that list, one of the most sophisticated hosting services is their dedicated hosting. In this post, we will be exploring the idea of dedicated hosting and we will also inspect the quality of SiteGround’s dedicated hosting. If you want to know about it, then this is the post for you. We will be discussing thoroughly about SiteGround dedicated hosting here. On top of that, we will be sharing some insider information and data about SiteGround. So, you can come to a decision if the SiteGround dedicated hosting service is the right choice for you or not. But, at first, let’s know the definition of dedicated hosting. If you are familiar with web hosting technologies, then you already know what a server is. And, you also know that there are numerous types of hosting plans out there. Normally, web hosting providers use their servers to store the contents of your website on them. There are several ways to do that. In the case of a dedicated hosting, you will have an entire server only for you to store your websites’ data. That server won’t be shared with anyone else. So, you can use all the resources and power of that specific server and ultimately improve the performance of your website. You will have the full control of the whole server system. So, you can choose the operating system, hardware etc. You will have the master control of the server too. So, you will be able to configure, manage, create, add and remove websites and even hosting accounts on the server on your own. There are a lot of good sides to using a dedicated server. First off, you will be able to get awesome performance and stability on your website/s. Next, you will have the control over the whole server. And then, you will also get the best of the best security on your server which will be provided by the hosting provider. So, we believe, you know about dedicated hosting now. Let’s start with knowing about the SiteGround dedicated hosting plans. As you know, you will get a server dedicated to your website fully, the plans also depend on the location of the servers. Siteground has multiple servers, 4 to be precise. All these servers are located on 3 continents. Among them, two are situated in Europe and the others are located in the USA and Asia respectively. Now, you should know that the location of your server will have a huge impact on the performance of your website depending on the location of your visitors. It is pretty simple actually. Your website will perform better to any specific visitor if your server is closer to them. So, you have to know which location your site visitors come from mostly. It could be from the USA, Europe or Asia. You know it best. So, keep that in mind while you are choosing the plan. Primarily, SiteGround offers 3 plans named as Entry Server, Power Server, and Super Power Server as their dedicated hosting plans. On all of the plans, you will get 10 TB of bandwidth. But, the difference will be on other features like CPU Cores, CPU Threads, CPU Cache, CPU Clock Speed, RAM, Storage Space, and even the CPU. Another thing you should know that the cost of the plans is similar for the USA and Europe server. But, the price of the Asian server is relatively higher than the other two. And, unfortunately, the ‘Entry Server’ package has been already sold out from the Asian data center and the other 2 packages are available. To be noted, all of the hardware, features, and configurations are similar on all of the packages for each region. You can choose any of the packages if you want. However, you can get some extra features if you add the ‘Geeky Feature’ to your cart while checking out. You will have to pay extra 50$ per month for that. If you have the budget we would tell you to use that, those additional ‘Booster’ features will dramatically improve the performance of your website. And, the servers are already set up for you. There is no setup fee for this. And, all the server maintenances and management is also free and will be taken care of by the SiteGround team. Who should choose the SiteGround Dedicated Hosting Plan? The straight answer is that anybody can use dedicated hosting. But, everybody shouldn’t. So, we will start by saying who shouldn’t use dedicated hosting at first. Then we will tell you who it is for. If you are a website owner who has a website with about 20,000-25,000 visitors per month, then you should not use dedicated hosting. You will be ok using a pricey package of any shared hosting. Or else, you can use cloud hosting too, if there’s no problem with your budget. So, for small website owners, you can avoid using dedicated hosting. But, in the opposite, if you have a heavily-visited website, then you can start to use dedicated hosting. But, you have to keep in mind that dedicated hosting is the priciest hosting package. So, if you have an enterprise website, you can go with dedicated hosting. As most probably, you are receiving a huge amount of visitors, the price won’t be a problem for you. Additionally, shared hosting packages can’t cope up with an enormous load of visitors. Again, if you want all the control over the server, this is the best option. You will get more security using a dedicated server. So, if you are working with some confidential thing on your website, you should use a dedicated server. 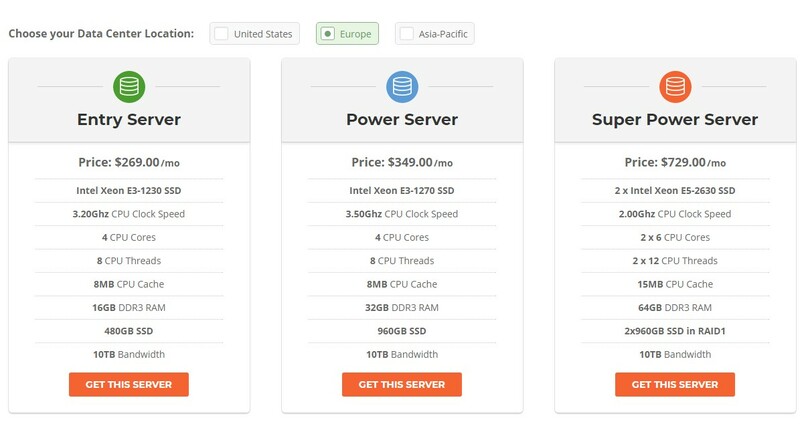 If you want the freedom of choosing the hardware on your server, this package is for you. Although you can’t fully choose what you want, it is true that SiteGround has already chosen some of the best hardware for their servers. So, you will be using the highest quality hardware on your server. If you are a non-techy, then you will love this package from SiteGround. It is not only a dedicated server but also a premium managed server. That means, your server will be managed by the SiteGround team. All of the necessary application installation, updates, server maintenance will be handled by the professional team of SiteGround. You don’t have to be knowledgeable about it. SiteGround does manage your servers for free. They also provide a number of extra proprietary software for free which will boost the performance of your website by miles. Even if you don’t fall into any one of these categories you can choose dedicated hosting. As there is no limitation or restrictions on using it. Anyone can get the benefit. So, if you want a top notch performance from your website then dedicated hosting is the way to go. However, if you’re still not convinced, don’t worry. Just continue reading, we will discuss and explore all about SiteGround dedicated hosting in the rest of the post for you. So that you can take your own decision yourself. After getting the server to yourself, the first thing you should be thinking about is the CMS (Content Management System) you are going to use on your website. Now, there are hundreds of CMS/applications are available. But, some of them are very popular in contrast to others. 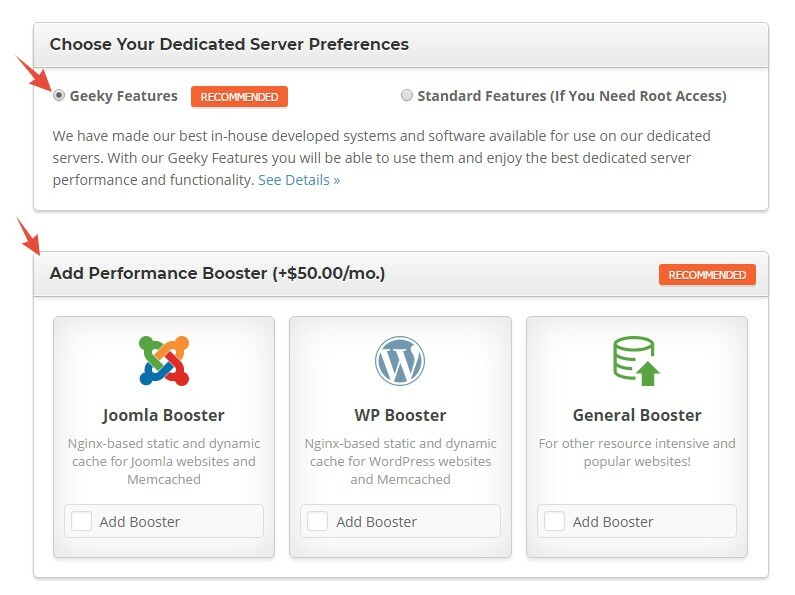 Siteground has support for all of the popular CMS like the WordPress, Joomla, and Magento etc. That doesn’t mean that you can’t use any other applications except the mentioned ones. You are free to use any one of your choices. Rather, SiteGround has some awesome features for these applications especially. For instance, you will have autoupdates, staging, SSH and GIT integration for those CMSes. You can control everything from within your cPanel. The famous ‘1-click install’ is also available for all the popular CMSes. So, you won’t have to be a professional to use your favorite CMS anymore. All the credits go to SiteGround and their professional team. Siteground has done their homework before choosing the hardware on their servers. They are providing the best possible configuration for your money. All of the hardware are high performing and stable. The servers are already set up. The moment you pay, you have the access to your active server. Most importantly, you don’t need to bat an eye to the management, and maintenance of the server/s. Siteground has a team of experts to handle that on behalf of you. They also keep monitoring your server 24/7. And, whenever any issues arise, they will be there to fix that for you. In the meantime, you are free to engage with your audience and improve your website contents. To ensure that your website is fast, they are using SSD (Solid State Drive) to store your data. On the other hand, some other popular hosting companies still use HDD (Hard Drive Disk). That is terrible. Because SSD is so faster than HDD. In fact, SSD can increase the loading speed of your website by about 20 times over HDD. You have seen on the Siteground dedicated hosting plans section that they allow you to choose the location of your server. It is one of the signature moves of SiteGround. Your website will be backed up automatically on a regular basis. And, if something happens to your site, you will be able to restore the data with just a few clicks. With this service, you don’t need to use any third-party software to keep backups of your website. You can keep your money in your pocket. With the help of CDN (Content Delivery Network), you can enhance the performance of your website globally. There are a lot of CDN services out there. Some are free and others are paid. You can use any one of them with your dedicated hosting. However, SiteGround already provides Cloudflare (a free CDN) integrated with your hosting package. You will be a VIP customer by using the dedicated hosting plan. So, your requests will be given the highest priority. We will talk about SiteGround support more in detail later in this post. 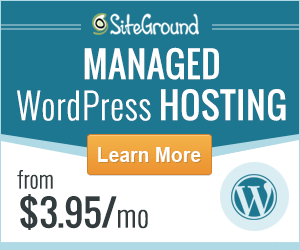 SiteGround provides some of the best and unique features with their dedicated hosting plan. 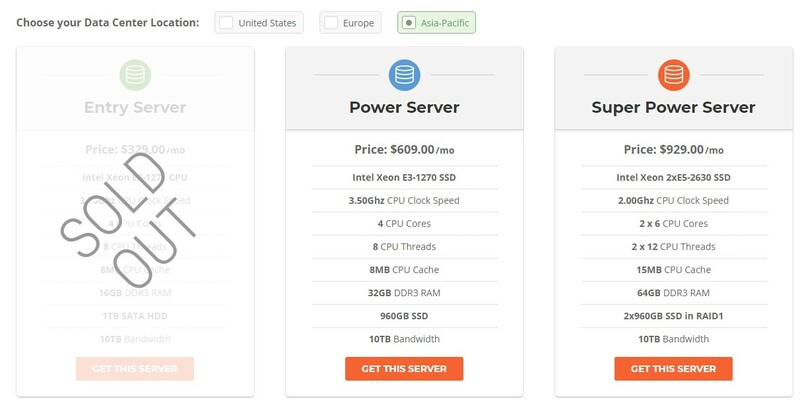 Some of the features are already available with all the normal hosting plans. That means you will get features like Softaculous AutoInstallers, cPanel, Free SSL (very important), Mail Server, MySQL 5 & PostgreSQL, and 5 different versions of PHP etc. This is just the tip of the iceberg though. Siteground also offers the advanced features with their dedicated hosting for free. All of the necessary software and OS will be pre-installed. And, you will have access to the WHM (Web Host Manager), with this you will be able to get access to the back end of your cPanel. Besides that, you will have 5 free dedicated IP and features like Exim Mail Server, Private DNS Server Setup, IP Tables Firewall, SSH Access etc. And, last but not least, SiteGround have the best and most advanced software to tackle any cyber-attacks on your server. So, you can be in comfort. For the purpose of testing SiteGround’s performance, we will be using the famous Pingdom speed test. With the help of Pingdom’s test servers, we can determine the load speed of any website hosted on SiteGround. As this test needs a website hosted on SiteGround, we will be using this (ReviewPlan.com) site. Because we use SiteGround as our host for this website. We will be running the test from 2 different test servers of Pingdom. Both of the tests will be performed on RevewPlan.com. So here we go. Here, our website has performed very well. The result indicates that our website is faster than 92% of tested websites in Pingdom. It’s because ReviewPlan.com only took 829 ms to load. This is astonishing if you compare it to the industry standard load time of 2 seconds. Our website performed even better on this second test. The load time is very fast which is 685 ms. And, eventually, we are faster than 94% of websites which were tested on Pingdom. From these two tests, it is clear that SiteGround has some of the best servers out there. Other than that, it won’t be possible for our website to load within just a second on both occasions. It turns out, SiteGround has stood its ground with ease. Now, we will talk about the uptime record of SiteGround. Website uptime record of a web hosting company is one of the most crucial factors. You can’t sleep on that. Before you finalize your decision, you need to investigate it properly. To do that you can use a couple of ways. One is to check on their website about their uptime record. Another is getting the information from a third person who is a user of that specific web hosting service. And, you can see that one is better than the other. In this case, when you try to investigate from the web hosting provider’s website, you are not doing the right thing. Let me explain it to you. The hosting providers will try their best to convince you to get you as their customer. So, they will advertise as they have the best uptime record in the industry. I know it’s sad but it’s the truth. The rule of thumb is to get a web hosting company who has a 99%+ uptime record. So, you will see every hosting company will tell you that they have that. But, in most cases, it’s totally false. So, you should use the second approach. To get the real information about a web hosting company, you need to ask from a real user. To make this easy for you. We have done the job on behalf of you. As you might know that we host ReviewPlan.com using SiteGround. We regularly monitor the uptime and downtime of our website. And, we will share that insider information for you. You can come to your decision from that yourself. Here’s the latest uptime stat of ReviewPlan.com. From the image above, the most noticeable thing is that our website was up 100% of the time on most of the months. It is really incredible. On the contrary, there are some downtimes too. But, they are negligible. 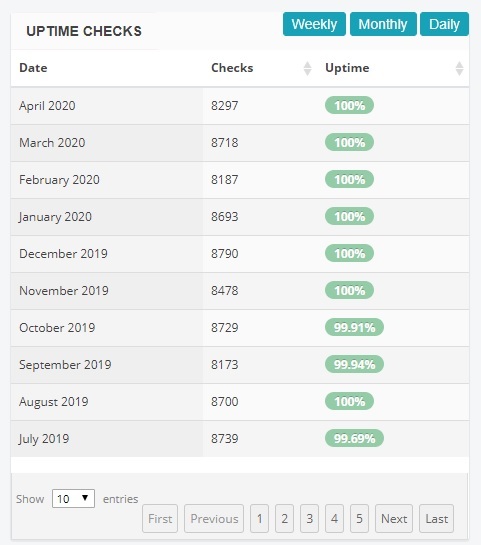 SiteGround has kept the uptime above the industry standard of 99% on every single month. That’s actually what we wanted. If a web hosting provider doesn’t have the 99%+ uptime record, you should move away from them. To keep the uptime high, SiteGround has taken a lot of measures. Among them, one is their pro-active monitoring system. By using this advanced system, they are capable of detecting any minor to major problems on their servers. It checks the servers every 0.5 seconds. So, if anything happens even within a blink of an eye, the system will notice it. And, the team will start working on that. The pro-active monitoring system also can foresee if anything bad is going to happen on the servers. So, the team can take care of the situation even before the problem has arisen. That is one advanced technology. And as you would be a user of their dedicated servers, you are more secure than any normal users. Thus, your website uptime will be higher than usual. They take special care of their dedicated servers. Overall, we would give SiteGround 10 out of 10 on their uptime performance. This post will go in vain if we don’t talk about SiteGround’s customer support. Even if a company have the best service, pricing, and technologies, you shouldn’t go with them if they have a bad reputation for their customer support. So, for you, we will talk about our personal experience with SiteGround customer service team. We need to get in touch from time to time with them. We have talked with them for various reasons. Nevertheless, we have got the best possible assistance from the SiteGround support team whatever the topic was. They have been always very helpful. There’s a good news for you. When you are a user of their dedicated hosting service, you are a VIP customer of them. So, you will be given the highest priority from the customer support team whenever you contact them. There are 3 methods to get in touch with them. Here is the list. You can use all of these methods. However, depending on your urgency you can choose the best option for you. You can also directly visit their offices. They have 4 offices in 4 cities around the world. The cities are London, Sofia, Madrid, and Alexandria (USA). So, if you live in those areas, you are free to contact them directly. But, don’t worry if you are not from these places. You can deal with them 24/7 using one of the 3 methods mentioned above. And, believe it or not, you will be answered in seconds. Astonishingly, 99.7% customers who contacted the customer support of SiteGround were satisfied by their support. Sounds silly? It’s not. We thought the same at first too. But, now we are also one of their satisfied customers. The Final Verdict: should you use SiteGround Dedicated Hosting? We have covered a lot of ground till now. Hopefully, now you know what’s a dedicated hosting and also have a clear idea about the dedicated hosting service provided by SiteGround. Firstly, it is true that dedicated hosting is not for everyone. But, it is also undeniable that for a bigger site, this is the best option out there. So, if you have websites which are loaded with visitors, you can go with using dedicated hosting. When it comes to choosing the best ‘dedicated hosting provider’ out there, then our vote would be definitely on SiteGround. SiteGround has got it all from helpful customer service, incredible uptime, data centers all around the world to faster website load speed. So, if you are one of them who are searching for the best ‘dedicated hosting provider’, go with SiteGround. You won’t regret your decision. Even we are using SiteGround for a long time. And, we can tell you this, we are overly satisfied with them. SiteGround has got it all from helpful customer service, incredible uptime, data centers all around the world to faster website load speed. So, if you are one of them who are searching for the best 'dedicated hosting provider', go with SiteGround.